Lonmin [JSE:LON] has delayed placing some of its shafts on care and maintenance due to improved market conditions, putting brakes on approximately 12 600 job cuts announced in 2017. Lonmin’s Hossy shaft in Marikana was due to go on care maintenance at the end of 2018. The company said the process will now take place by the end of the financial year. The shaft produced 155 000 tonnes, an increase of 11 000 tonnes from the previous period. The platinum miner is in the process of being taken over by Sibanye-Stillwater [JSE:SGL], in a deal that would make Sibanye the second largest platinum producer in the world. The 5.17bn acquisition, announced in December 2017, is being challenged by the Association of Mineworkers and Construction Union in the Competition Appeals Court. The case will be heard on April 2. The acquisition has been approved by a number of regulatory bodies. The Competition Commission earlier recommended the acquisition on condition that Sibanye takes measures to save about 3 700 jobs. 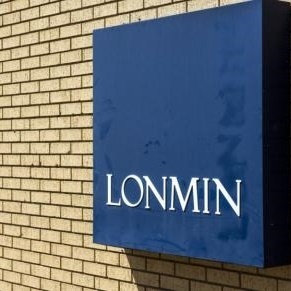 Lonmin has maintained that the deal will create a larger, more resilient company, which is better able to withstand short-term commodity price and foreign exchange volatility. The firm’s biggest shaft, K3, produced 566 000 tonnes, a decrease of 129 000 tonnes and Rowland turned up 403 000 tonnes, down by 45 000 tonnes on the prior year period. The company posted lower production and platinum sales in a period that is traditionally slow for business “due to the December holiday season and the impact of annual stocktaking.” Refined Platinum production of 144 651 ounces was 10.4% lower than the first quarter of 2018, on the back of reduced mining tonnes, lower grades and recoveries. Platinum sales were also 4.6% lower at 140 488 ounces, while Platinum Group Metals declined 12.7% to 255 152 ounces. Two workers were killed during the period under review, adding to an increased number of fatalities recorded in the industry during 2018. Lonmin shares were trading at R11.09 at 12:15, up 2% on the day.